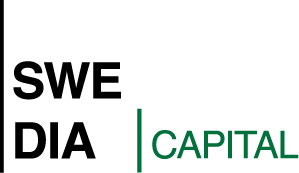 [Stockholm 9th of November 2015] Venue Retail Group decided to direct a new share issue to Swedia Capitals parent company, Zimbrine Holding BV. After the share issue, Zimbrine Holdings ownership corresponds to 8,67% of the votes and 8,67% of the capital in Venue Retail Group AB. Read more in the pressrelease from Venue Retail Group.